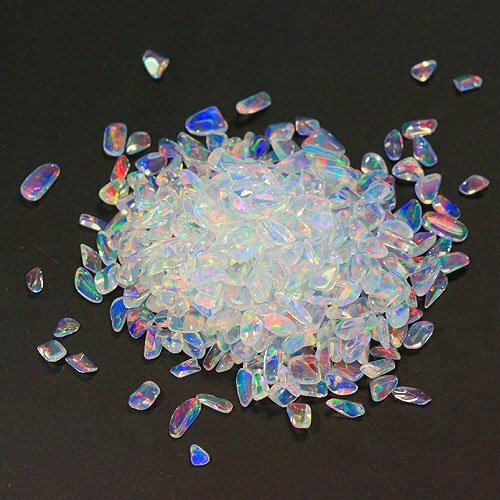 Our rainbow mini tumbled opal is perfect for tight spots that just need an opal. 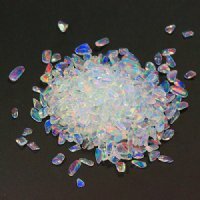 These stones are also great for tiny accents to make people double back for a second look. Great fire in these small pieces. The size of these "mini" opals varies quite a bit from batch to batch. 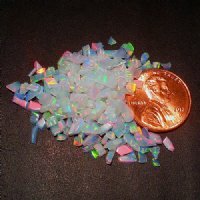 The average size is 2mm - 4mm and about 18-30 pieces per gram. If you have specific requirements please let us know.